My dad introduced me to the place not very long ago. He loved it here! Yeah right, the place made me miss my dad but time heals all wounds and now whenever I see a thing or visit a place that remind me of him I have a smile on my face knowing that he is somehow with me in spirit. 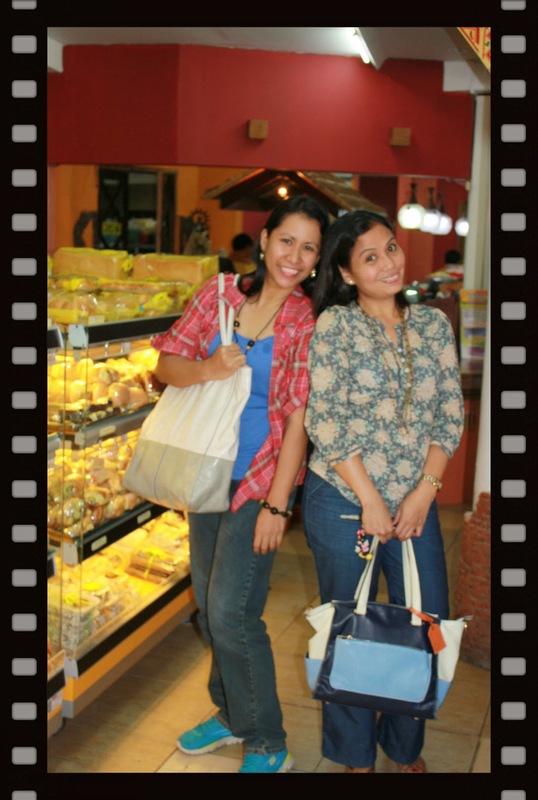 I had the opportunity to dine there once again when I reunited with a med-school super buddy, Mace. As with any superfriend reunion we had so much fun catching up and reminiscing! 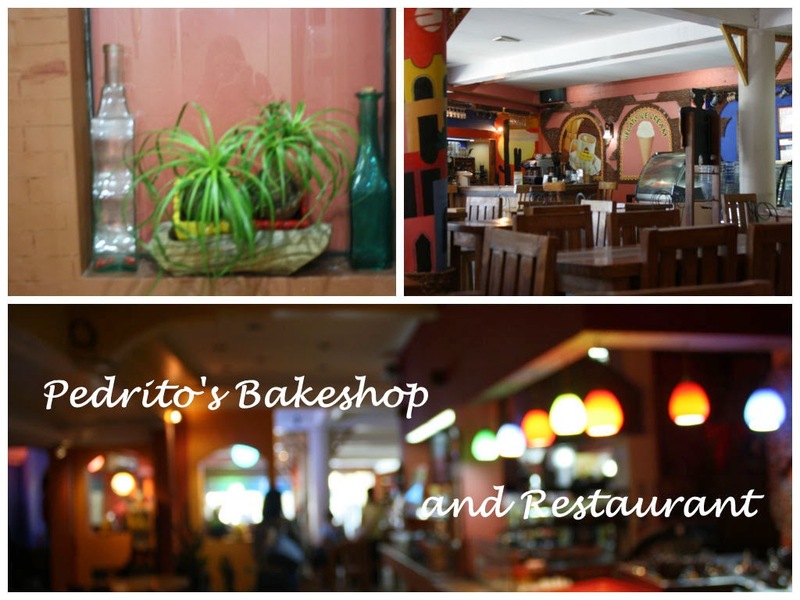 The resto-bakeshop has an atmosphere of gaiety. Works of art are all over the place. I love their colorful walls and their friendly staff whom we did not have to ask to take our photos but gladly volunteered. 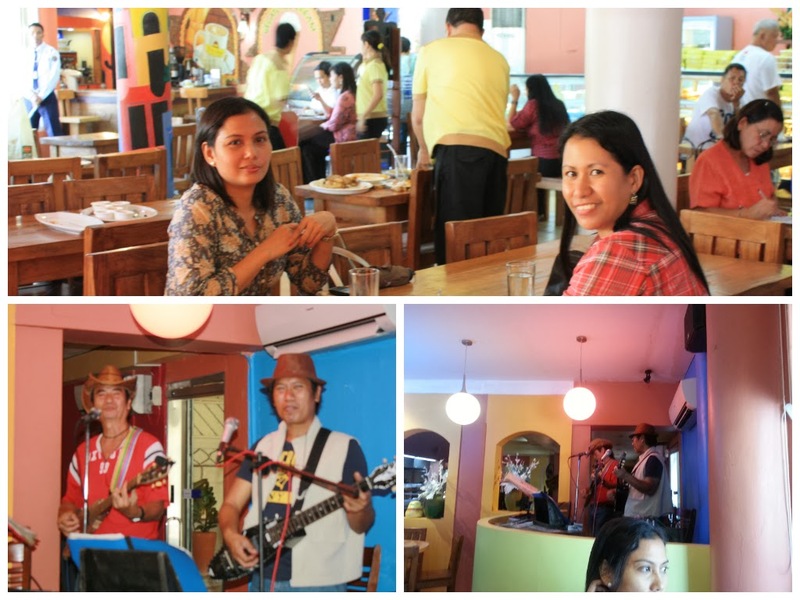 ...it was lunch time and the place was quite busy yet the songs being played by their live band kept the mood of everyone cheery. It was difficult at first to find a spot where we could watch while eating but a crew gladly offered a table for us perfect for dining and entertainment. Being serenaded is a great appetizer indeed! 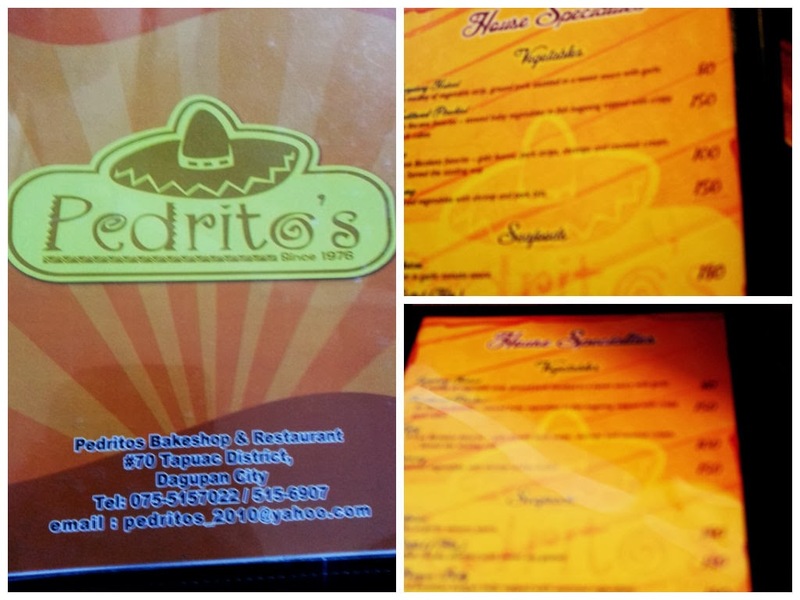 hmmm what to order at Pedrito's? their CHICKEN, SATE MANOK is a must try! and their sinigang na Bangus (milk-fish) belly is superb! I love its creamy sauce enhanced by gabi and with just enough sour taste! yep, as you may have guessed I had sinigang na Bangus! Mace ordered a seafood platter. She is allergic to shrimp but the physician in her knew exactly what to do. She took antihistamine minutes before indulging. ..and for dessert we had Apple pie and salad! Their native bibingka (rice cake) is also a hit! 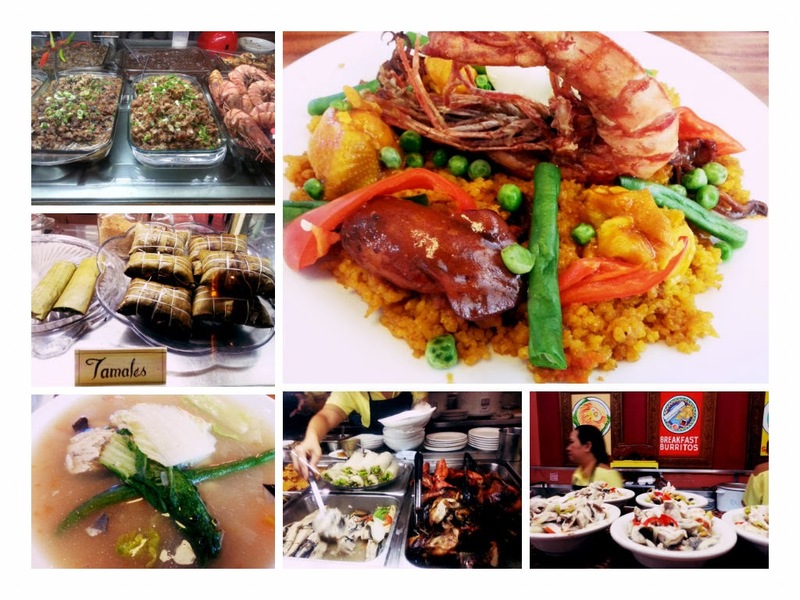 Loyal customers claim they have the best Batchoy in Dagupan City and their PLATO wraps are superb not to mention their baked goodies- enseymada, cheese rolls and pineapple twists and many more! Did we have a grand time? Those smiles tell it all! We then proceeded to our beloved Alma Mater where we made initial plans for a Med-School reunion- something that is still in the drawing board as of this writing. 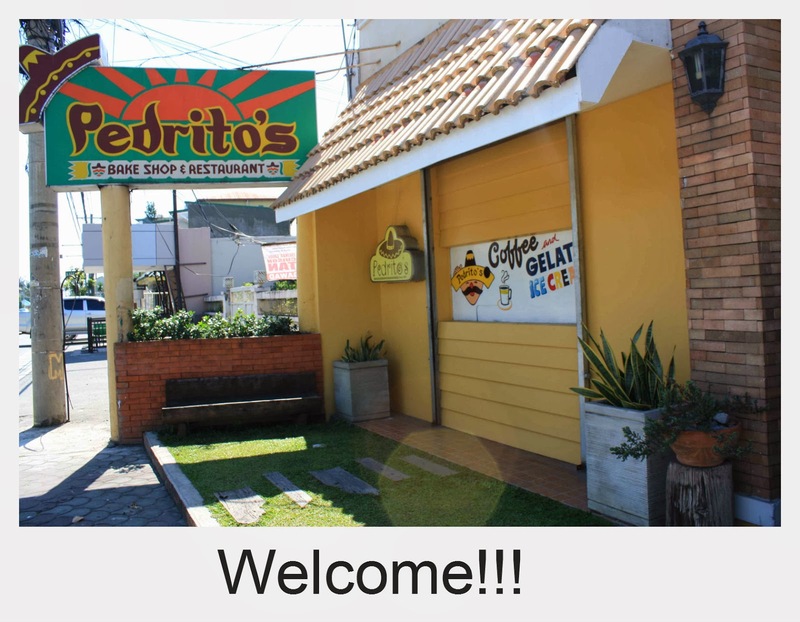 :) Personally, I can't wait for the gathering and to eat at Pedrito's once more. 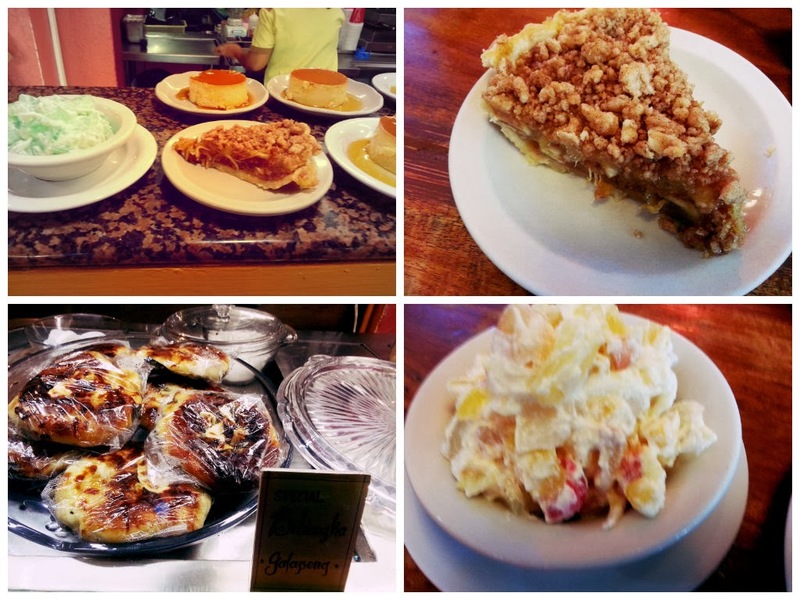 Click here for more of our foodie adventures.